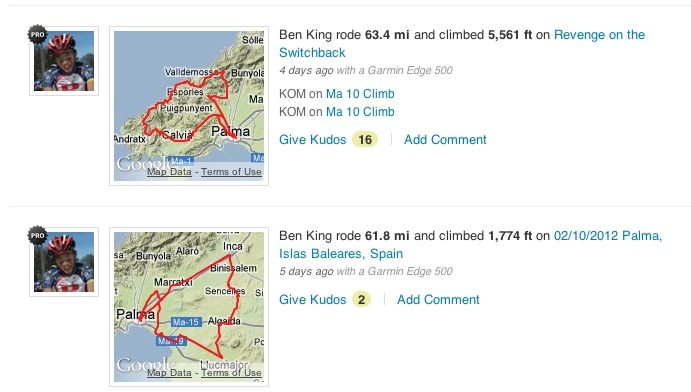 Strava has become a huge hit in the cycling community. Adding a social element to cycling training has changed the way cyclists train. I’ve personally witnessed multiple people buying new Garmin GPS units because of Strava. 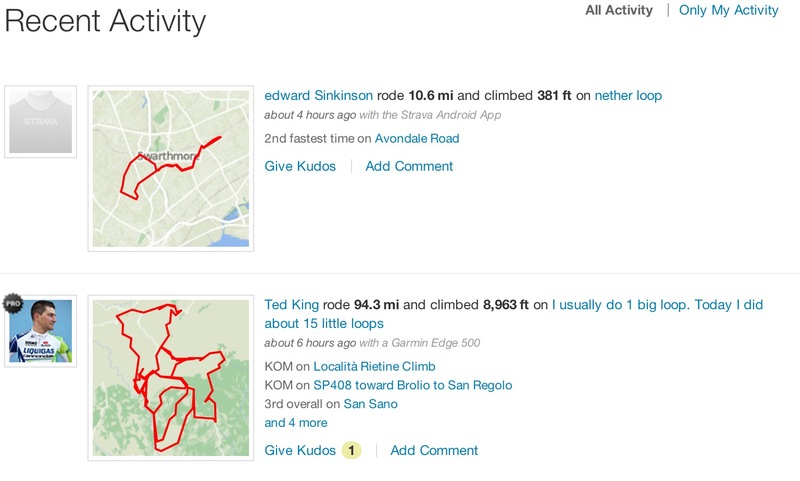 One thing that has differentiated Strava from other websites such as Mapmyride, Garmin Connect, and others is usability and good ascetic design. Strava has always looked really good, featuring beautiful icons and detailed maps. The source of Strava’s map data is Google maps. Google has changed the way map utilization is priced, making it a lot more expensive for a website like Strava to use Google maps. Ironically, many people moved to Strava in late 2010 / early 2011 when Garmin Connect moved to Bing maps. Garmin didn’t do it for pricing reasons, it was a political move since Bing’s mapping provider is NAVTEQ, the same company which provides Garmin maps for their GPS units. Google is probably one of their biggest competitors since Android phones provide turn by turn directions for free. Strava switched their production site to open street maps a few days ago. The only point where OSM map data is currently used are in the thumbnails users see in the activity feed. Notice the complete lack of detail? Its no surprise that the feedback to Strava has been overwhelmingly negative. Strava attempted to act like they were looking for community feedback for the decision to switch mapping providers, but its pretty clear that they were moving in the OSM direction long before the switch on the production website. The lack of detail with thumbnails isn’t what is worrying most Strava users, its when they actually switch the ride view to OSM data. Garmin Connect switched away from Google maps, and users revolted. That is a 100% free service, Strava has many paying premium users like myself. The vast majority of Strava premium users pay just to support Strava, because the premium features are very underwhelming and haven’t changed much in over a year. If Strava switches the ride view to OSM data, I can see the user community getting very upset. Once their is a certain expectation of quality, moving to an inferior alternative is never going to be stomached well by consumers. Ironically, the motivation for doing the map switch is cost cutting, yet Strava advertisements are plastered all over USA Tour de France coverage.